I subscribed to Adobe Creative Cloud a few years ago and here is my experience with the CC service so far..
A few years ago, the digital art world was upended in turmoil. Pitchforks and torches were handed out, and an angry mob of netizens stormed the gates of Adobe. What manner of monster had Adobe unleashed upon the innocent populous of the design world? 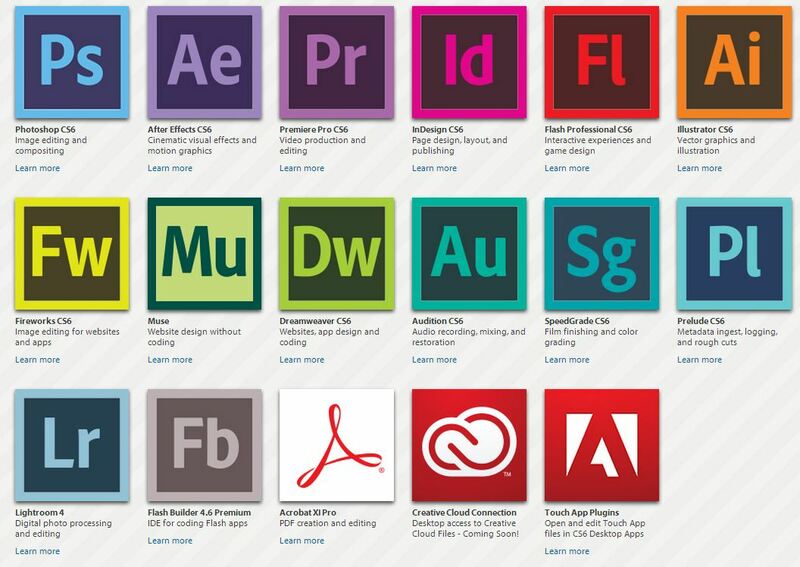 In 2011 Adobe announced the launch of their Creative Cloud service: a monthly subscription to all of the products under the Adobe umbrella. From design tools like Photoshop and Illustrator to video production tools like Premiere Pro and After Effects, you could have it ALL for one monthly price. Soon after, they announced they would no longer be selling the physical boxed editions of their tools, like the popular Master Suite Edition, and CS6 would be the final physical version. 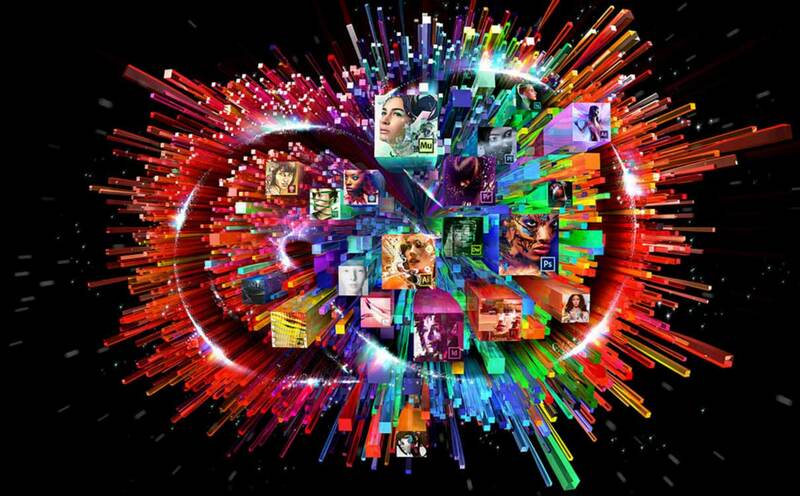 What are the downsides to Adobe Creative Cloud? Aside from the oft-touted “exorbitant” price, customers expressed fears and concerns about the functionality of a subscription service for essential creative tools. If your cable bill, or Netflix bill lapses, then you just do without those amenities for a while. But what about your work files? What happens with the tools used every day by creative professionals as well as the files they create? How about their clients and customers? As it turned out, none of those fears were fully realized. With over 3.5 million subscribers and approximately 50,000 more customers each week Adobe Creative Cloud has been pulling in near 5 star ratings across the board, with creative types from all manner of fields. Being a professional myself in the creative arts (design, web development, logo design, etc.) it would be easy enough for me to just have my employer buy a multi-seat license. But I not only use the Adobe products in my day to day job, but I also use them personally for the little creative projects I do (like this blog and cartooning). Did I really want to find myself beholden to an employer for my personal creative tools? What is I switch jobs? What happens when I’m between jobs? I looked at the math. At the time of the announcement, Adobe CS6 Master Suite (which is pretty much the meat and potatoes that CC offers) was selling for about $3,000. That price covered all of the main Adobe products in one package. You could get Photoshop or video editing packages for less, or buy every single Adobe offering for more, but I needed to look at comparable price points and the fact that eventually CS6 would be outdated if it received no further updates or new versions. Adobe Creative Cloud is $50 a month (technically $49.99, but who are we fooling). If you are a student or teacher, the monthly cost is significantly lower; around $20 a month. At the $50 price point, it would take me sixty months (5 years) to consider myself “in the red” on this particular purchase. Anything beyond five years means that I will have then overpaid on my investment. But is that really the case? For that $50 a month I would be spending about $1.64 a day or about $11 a week (the cost of a movie ticket or about two cups of coffee). For that $1.64 a day, I can not only use every Adobe product, but I have access to web publishing tools (online portfolio, websites, etc. ), a vibrant community of other creative types, support and even tutorials and education materials to help me get the most from the tools I use as well as ones I might just be interested in checking out. Plus, Adobe has stated that if, for some unforeseen reason, they do shut down the service (which is highly unlikely they would kill their cash cow) all current subscribers would get to download the most recent version of the software to keep. No Disks – I recently bought a new computer and with the advent of cloud services like Adobe CC, Steam, Dropbox, Arc, Origin, iTunes, etc. I have not had to install a single disk into my computer to install my programs and media. That is HUGE for me, as I typically had to dig through boxes in my storage unit, buy new copies of software if they were lost or damaged, or generally just worry about having physical media … somewhere. I didn’t realize what a boon this was until I actually had a use case where being “in the cloud” really meant something to me. Constant Upgrades – In the past, spending $3000 on a software package is only made worse when you make the purchase and a few months later a new version is announced. Sure, if you are an existing customer you can pay a small(ish) “upgrade fee”, but ‘cmon! I just bought this! should I have waited? Do I really need to upgrade? What am I missing out on? Well, I no longer have to worry about having the latest and greatest. Adobe regularly updates the software with fixes and features and a few weeks ago the 2015 update rolled out that updated ALL of your Adobe products. Big changes were made across the board and I got the latest and greatest versions of the tools I use every day … for no additional charge! Cross Platform – I use my desktop PC at home, and I have a MacBook air for work use and to “go mobile”. Guess what? I can install my Adobe products on both computers. Previously I would have had to choose which physical version of the Adobe products I wanted, and been limited to which computer I would install it on. Now, I can download the version I need for the OS I am working on with absolutely no extra hassle or expense. Access To ALL Adobe Products – This particular benefit has really impacted me in 2015 since having access to Premiere Pro, just because it was there, has led me to launch my very own YouTube channel. Late in 2014 I got the itch to expand my ability to create content and I decided to click the “install” button next to Premiere Pro and After Effects. If they weren’t there at the simple touch of a button, the spark to pursue video production and editing might have fizzled out while I shopped for software, or tried demo version or even just pondered the investment of money in something I might not even like. But because Premiere Pro was, literally, at hand I was able to install it and dive right into video production with one of the best professional tools available. And using the tutorials available to me though the free Adobe training, I was up and running with high-quality videos in no time. The channel was launched January 1st, 2015 and I’ve been chugging along smoothly ever since. As a whole, Adobe Creative Cloud has been a huge personal as well as professional boon to my creative output. From editing and producing videos to making thumbnail images and channel art, all the way down to making a website to support my business; Adobe products are what I use to produce the best work I can and to express myself creatively and meaningfully. And to me, that is worth FAR more than $1.64 a day. Im a bit disappointed you didnt delve into the initial concerns raised after your year in review. Is this really the case and does it inhibit you from working/creating at all? Ohh, good points. I can tackle those. -Constant online connection needed? Nope. It just checks one a month when you are billed. Billing goes though, your free and clear for another month. You can work offline on any of the tools. You will need to be connected online if you want to install a product or update them, but other wise you are untethered. -Hold your work ransom? Nope. I mean, you need the tools to open the files, and that’s true of any software. Like you can’t open a Word .doc if you don’t have Word. But they files are there and can be opened by anyone who has the tools. And even in the case of Illustrator you can save an .EPS file, and that can be read by pretty much any vector reader. So far, I haven’t come across any impact on my day to day usage and it has even been a better experience than owning discs. Why can’t adobe products treat their stuff like Microsoft Office did? I mean we kinda need them all and it’ll be easier, much money saver, if we could treat them like a build in application for our computer. I mean, photoshop, illustrator and indesign, or much more, it’s a must software for nowadays designer or everybody. Why force us to pay every single thing Adobe made? So complicated, so expensive, no wonder people try to hacked our way to make those products free. First of all, for explanation reasons, I’m from Croatia. My company has bought CS5.5 in 2011. so we thought to upgrade, but after seeing prices of CC products we gave up of such (stupid 🙂 thoughts. One years subscription is about 2 months average salary in Croatia. WTF? For small companies it’s just a killer and not an option. I went Linux & Open Source: Free Software, No Spying, Safe and Secure, It just works. I was amazed at how productive Open Source Graphic/Web Design Software could be. I don’t play Adobe’s Creative Extortion Cloud game. Also note Corel is starting to play this fleecing game too. Microsoft/Apple will be fleecing us NeXT with their OS. Take A Stand For Freedom – Dump The Scum! FYI: I went with Linux Distro: Fedora Design Suite. I agree, there are quite a few excellent open source and free tools out there (Gimp and Krita being two off the top of my head). Perhaps a follow-up post about free options might be a good option. I know not all folks are up for the subscription model, but this post was mostly for those on the fence. I liked this article, would you say CC all apps plan is worth it for a web developer/designer who’s starting from the ground up skill-wise? I used to use a good 50% of the CC tools back in school when the subscription was cheaper but I haven’t used them since besides InDesign for resumes design. I would definitely go for the whole plan. I know there is a scaled down Photoshop only version (Elements I believe) for a flat licensing fee (about $100 or so), but just having access to EVERYthing has been wonderful. Personally, I use Photoshop, Illustrator, Dreamweaver, Premiere Pro on a regular basis, with lighter use of the other apps. IF you can maintain a student subscription a bit longer, it’s more than worth it. But if you can swing it AND pull in some paying work because of it then I say go for it.